New Blockchain insights platform to be developed in collaboration with NBCUniversal, Disney, Altice USA, Channel 4, Cox Communications, Mediaset Italia and TF1 Group. The partnership is aimed at better ad planning, targeting, execution and measurement across screens. 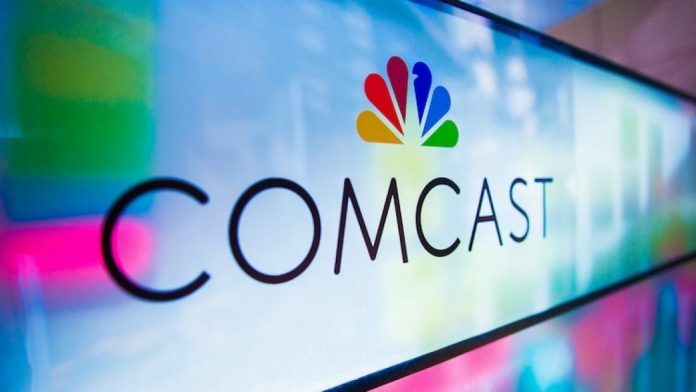 Comcast’s Advanced Advertising Group, a division of Comcast Cable that combines the capabilities of Strata, FreeWheel, and Visible World, today announced an initiative to develop a new, technological solution – the “Blockchain Insights Platform” – aimed at improving the efficiency of premium video advertising, resulting in better planning, targeting, execution and measurement across screens. This effort to develop the technology expands upon the advertising relationship between Comcast’s Advanced Advertising Group and NBCUniversal as well as new collaborations with Disney, Altice USA, Channel 4 (UK), Cox Communications, Mediaset Italia and TF1 Group (France). The companies will work together on a new and improved advertising approach which would facilitate the secure exchange of non-personal, audience insights for addressable advertising. Comcast made today’s announcement at the Cannes Lions in Cannes, France and intends to formally launch the Blockchain Insights Platform in 2018. In addition to the initial participants, Comcast is in discussions with other programmers, distributors, device makers and marketers from the U.S. and Europe. One application of the Blockchain Insights Platform would be that advertisers and programmers could match data sets more effectively to build and execute media plans based on custom audience segments and more precisely and efficiently target across a nationwide footprint of pay-TV customers and streaming device users. Concurrently, programmers would be able to offer improved targeting precision across screens, increasing the value and quantity of monetized inventory. All participants would ultimately benefit from the resulting reporting and attribution metrics, and new potential revenue streams for participants could emerge for data insights they can generate for themselves and others. “We’re excited by the potential of this new initiative, which would leverage the collective data insights of all participants while fully protecting personal privacy, to more effectively connect advertisers with the audiences who love our high-quality creative content,” said Kevin Mayer, Senior Executive Vice President and Chief Strategy Officer, The Walt Disney Company. An inherent characteristic of the planned Blockchain Insights Platform is consumer privacy – each blockchain participant’s data would stay in their own systems and they would continue to manage the protection and privacy of their users. The technology includes a series of encryption and rights management layers that would result in a system that lets blockchain participants in the platform ask questions of each other’s data without having to access or take possession of anyone else’s data to get their marketing questions answered. This technology simply provides a more efficient platform for the premium video marketplace, while keeping individual data sources safe, private and secure. Comcast Cable recently unified its television distribution, sales and advertising technology products and solutions under Mr. Jenckes who now oversees two divisions of Comcast Cable Advertising: Comcast Spotlight, the advertising sales division of Comcast Cable, and Comcast’s Advanced Advertising Group. Comcast’s Advanced Advertising Group has developed platforms and technologies to create simplified solutions that not only benefit Comcast Cable, but also other distributors, programmers, agencies and advertisers from the U.S. and Europe. Comcast’s Advanced Advertising Group will work with many of these same companies to develop the Blockchain Insights Platform.